Why slow down your fast-paced instant messaging chats to launch your email and send a screenshot? 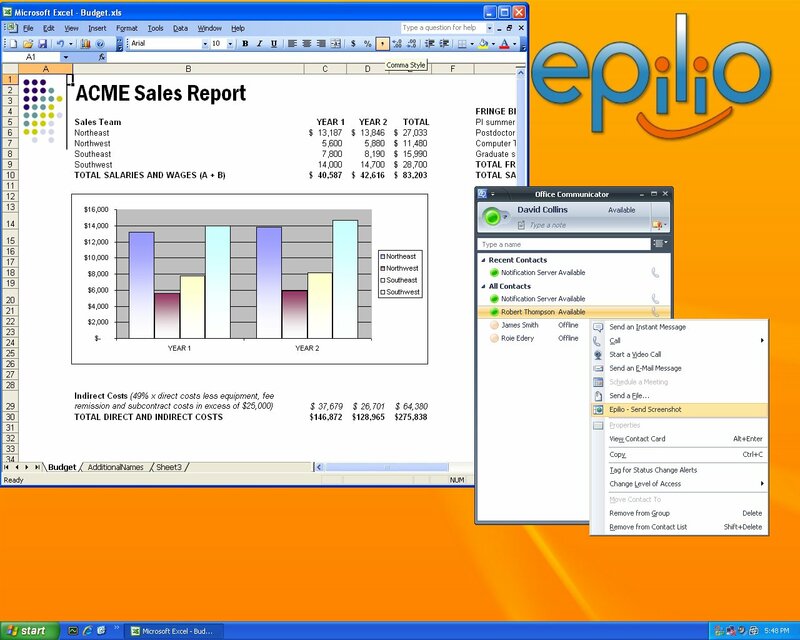 Epilio Image Transfer is the perfect companion for Office Communicator/Lync, allowing you to quickly grab part of your screen and send it securely to a fellow user. 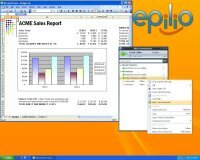 Epilio Notification Server for Microsoft Lync and Office Communications Server (OCS) works seamlessly with your existing Microsoft UC infrastructure and clients. Enabling the quick and efficient distribution of notification messages to any client, be they desktop or mobile. Notification messages can be scheduled to be sent immediately or at predetermined times. 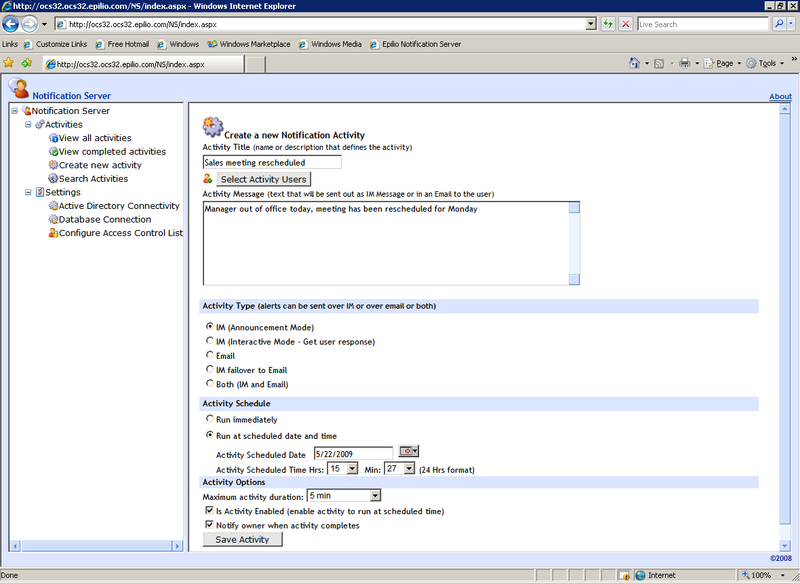 Notification server offers automatic rollback to email if a users is not currently logged on, and the option to notify the user as soon as they reconnect to to the Lync Server..